Seniors losing: G Barry Brown Jr. (14.6 ppg, 4.1 rpg, 2.8 apg), G Kamau Stokes (11.0 ppg, 2.8 rpg, 3.4 apg), F Dean Wade (12.9 ppg, 6.2 rpg). Any NBA Bound? : Wade is among the Top 100 players at ESPN.com for the 2019 NBA Draft, so it’s possible he could be a second-round pick. He would certainly be a lock for a summer league berth, along with Brown. Stokes will probably have to impress scouts during the pre-draft process. Top players returning: G Cartier Diarra (6.8 ppg, 3.3 rpg), F Xavier Sneed 10.6 ppg, 5.5 rpg), C Makol Mawien (7.0 ppg, 4.9 rpg), G Mike McGuirl (3.6 ppg, 1.5 rpg). The player you don’t know about: Goodnews Kpegeol. 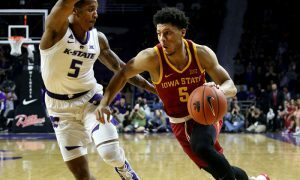 The 6-foot-6 guard signed with Kansas State on Dec. 31, 2018, and redshirted. A Top 100 player in the 2018 recruiting class, Kpegeol spent a postgraduate year at Taylor Made Prep in Pensacola, Fla., where he averaged 15.6 points, 5.6 rebounds, 4.2 assists and 1.2 steals per game while connecting on 36 percent from 3-point range. With the losses of Brown and Stokes, he could fill a sport in the guard rotation. Recruits already in the house: G DaJuan Gordon, 6-foot-3, 170 pounds, Curie Metropolitan (Chicago, Ill.); PF Montavious Murphy, 6-8, 190, Concordia Lutheran (Tomball, TX); PF Antonio Gordon, 6-8, 195, Eisenhower HS (Lawton, Okla.). None of K-State’s recruits are in the national Top 100, per 247Sports.com. But both Gordons are in the Top 5 among their state recruits, and Murphy is Top 20 in Texas. Commitments yet to sign: 247Sports.com does not list any commits for KSU at the moment. 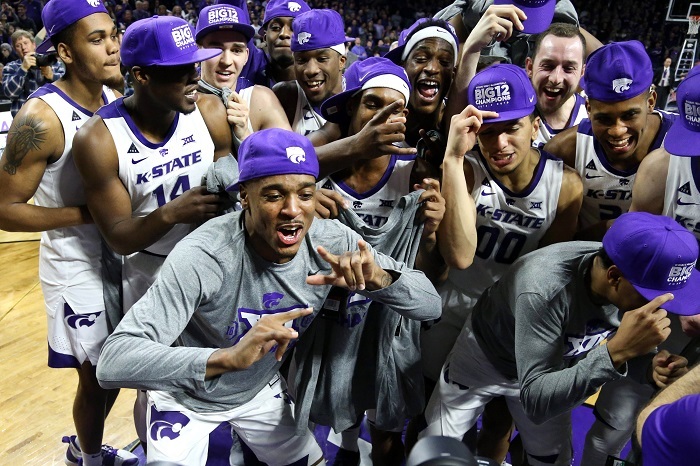 Summarizing the season: Entering the season I believe everyone was in agreement that Kansas State stood the best chance of challenging Kansas in the Big 12, and that proved to be the case in the regular season. The pair split their season series and the Wildcats ended up with a share of the Big 12 regular season title, along with Texas Tech. Also, as expected the three seniors — perhaps the most decorated senior class in K-State history — led the way. Stokes and Wade were banged up at times, but Brown played every single game. At one point Kansas State lost its first two Big 12 games and then won 14 of its final 16 Big 12 games, leading to the shared title. 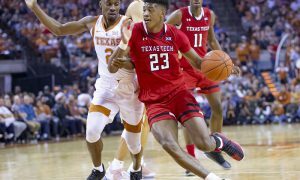 But the Wildcats lost Wade for the Big 12 Tournament and fell in the quarterfinals, and followed that with a loss to UC Irvine in the NCAA Tournament. The Wildcats were hoping for a deeper run. But the magic of last year’s Elite 8 run eluded them. 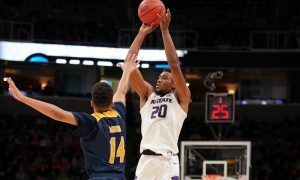 Looking ahead to 2019-20: If there’s a team that one should expect to take a downturn next season it’s Kansas State. Losing Brown, Stokes and Wade hurts big time. The trio each had 1,000 or more points for their K-State career. The Wildcats do return Stokes and Diarra next season, but the starting lineup is going to get a makeover. Mawien is back, but he showed little improvement inside, in terms of scoring and rebounding. Players like McGuirl, Shaun Neal-Williams, Levi Stockard III and Austin Trice are going to have to spend this summer improving and preparing for more playing time. And is there a gem we don’t know about, like Kpegeol or one of the members of this recruiting class? Or is there a transfer Weber can lure from another school? No team faces more question marks next season than the Wildcats.